Find out how one mum and social media manager has the perfect life on paper, and what it has taken to achieve it. I’ve started 2019 being really clear for the first time since starting my business, what success means to me, and how I want to be successful in 2019. I’m a mum, a primary carer of a six and four year old. I started my business – Social Cat – three years ago in 2016. In that time I’ve carved out a really exciting business for myself and – not always – but most of the time my business works around the school run. On paper, on my LinkedIn profile, I’ve got the dream work-life scenario. A lot of primary carers of children want the same work-life balance and look at my life (through the filter of my social media presence I should say) and say what is your trick, your secret – tell me how you did it? I have a business plan. I deliver consistently good results. I don’t make investments that promise to make me rich quick. Now this might seem a strange qualifier for someone who co-wrote a course (currently open and accepting applications) with Hannah from Talented Ladies Club called Social Media Moneymaker. Surely I am all about the money?! 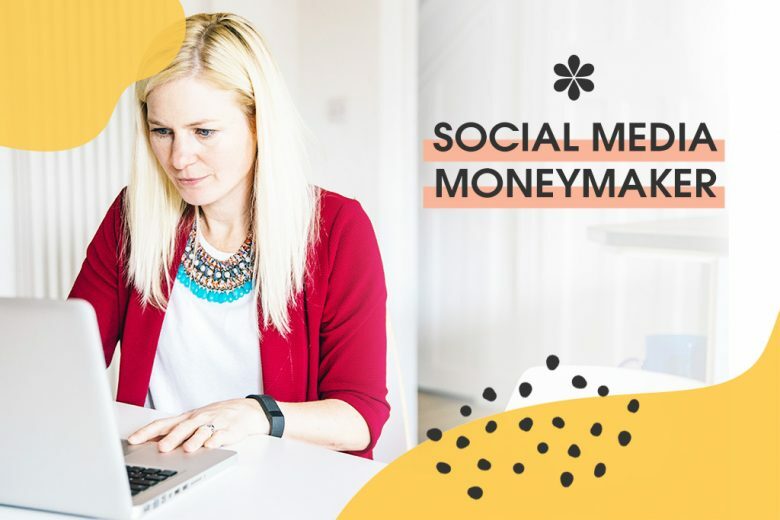 The Social Media Moneymaker course outlines coherent and sensible business processes for setting up your business, for getting your first client (or better paying clients), to managing your pipeline and retaining your clients. It’s a sensible, practical and common sense way to build a social media business. It requires hard work and diligence. It requires you to turn up and deliver what you said you were going to deliver. It requires professionalism and service provision. At no point in this course do I promise you a magic trick that delivers ‘passive income’ or ‘six figures’. To be scammed is an unkindness. To think you aren’t being scammed is a naivety. So, before you buy anything that promises untold riches, please think about your skillset, the hours you have in the day, your current network of contacts and how if you aren’t making money with your current skillset you are going to start making money after making this investment. Look at your business plan and think about where this investment fits in. If you don’t have a business plan, write one! To be a freelancer working at home around kids is horrifically hard. It requires a mental discipline that you need to be able to access every day. To still be doing it three years later is testament I think to my bloody mindedness rather than anything else. If you want to succeed you can – the barriers for entry are still incredibly low, the work is compatible with remote working and the digital skills gap is still gaping. But the first test is to not have your heads turned by the idea of getting rich. Freelancing around kids is not compatible with getting rich quick. And anyone who says you can needs to be handled with extreme caution. Join Social Media Moneymaker and get solid, proven strategies to help you earn money as a social media or Facebook ads manager. You can read Cat’s original LinkedIn post here.